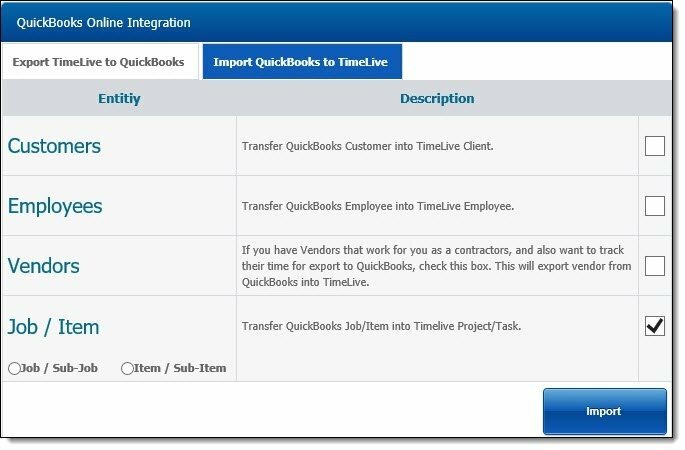 TimeLive Hosted Account can easily be integrated with QuickBooks online. 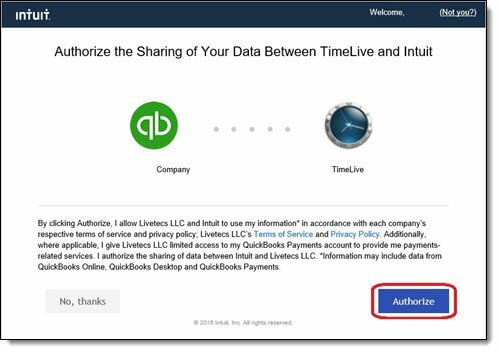 To Integrate TimeLive with QuickBooks, Administrator must have existing TimeLive Hosted Account and QuickBooks Intuit Account. 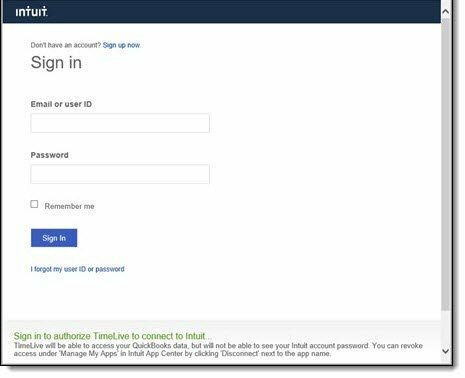 Login to TimeLive Hosted Account. Now, you are able to Import/Export your data between both accounts. 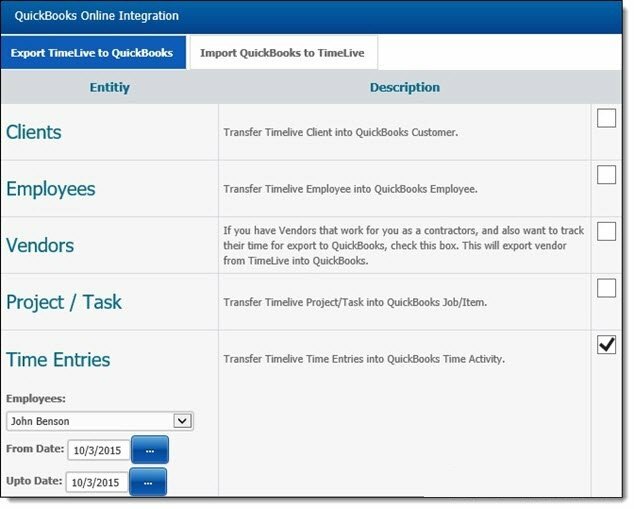 An administrator can export Time Entries of Specific Employee to QuickBooks with Date Range. See below image.